Notes by Erik Voskamp. the Dutch Rum Ambassador. Simple nose with chocolate, vanilla and oakyness, in the mouth light and sweet with cinnamon and chocolate. 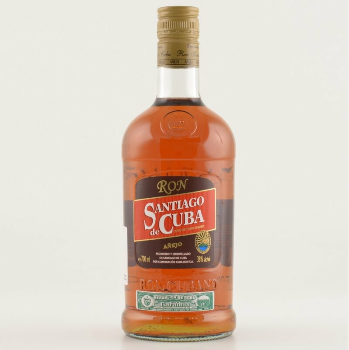 Press some fresh lime in the glass and pour 1/3 Santiago de Cuba over ice and fill it up with Coca Cola.